Ian* has a broad litigation practice, which includes commercial disputes, class actions, professional liability, employment and regulation. Ian fights hard for clients, but never loses sight of the big picture when he drives§ cases forward. He has run dozens of hearings, and appeared at all levels of court in Ontario as well as at various administrative boards and tribunals. His dedication and focus generate results‡ inside and outside the courtroom. And it’s not hard to see where he got those skills. Previously representing Canada at the World University Games in swimming, Ian uses the strong leadership skills he developed to take charge of cases, including for his Pro Bono and Law Help Ontario clients. .
Ian has a general litigation practice, which includes commercial litigation, employment and professional liability and regulation. His commercial practice includes class actions, contractual disputes, and shareholder disputes. Ian has an active professional liability practice, acting for physicians in civil and regulatory proceedings and also prosecuting on behalf of professional regulators, including The Law Society of Upper Canada and the College of Massage Therapists of Ontario. Ian has appeared before all levels of court in Ontario as well as various administrative boards and tribunals. 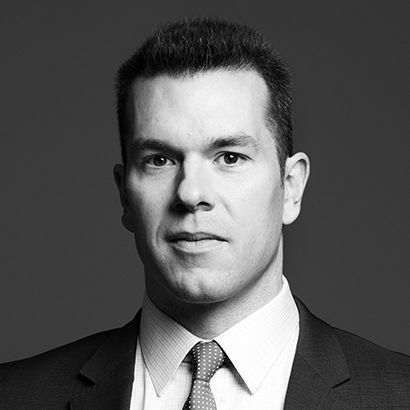 During the course of his legal studies, Ian represented clients at Ontario courts and participated in law reform initiatives with the Community and Legal Aid Services Programme at Osgoode Hall Law School. He also served as a research assistant to a professor of securities law. Prior to pursuing his law degree, Ian was active in competitive swimming. He represented Canada at the World University Games and was honoured as the University of Toronto's Male Athlete of the Year. Counsel to the plaintiff in a successful jury trial against a school board in connection with an allegation that a failure by the school board to properly supervise led to a student being sexually assault. Counsel for the successful respondent, Walker Aggregates Inc, in an application for judicial review of a decision of the Joint Board to grant conditional approval to Walker Aggregates to develop a quarry on land that falls within the Niagara Escarpment Plan area. Ian MacLeod presented to research lawyers on a case he argued with Peter Osborne at the Ontario Court of Appeal regarding judicial review of administrative decision-makers.